Our favorite gemstone! 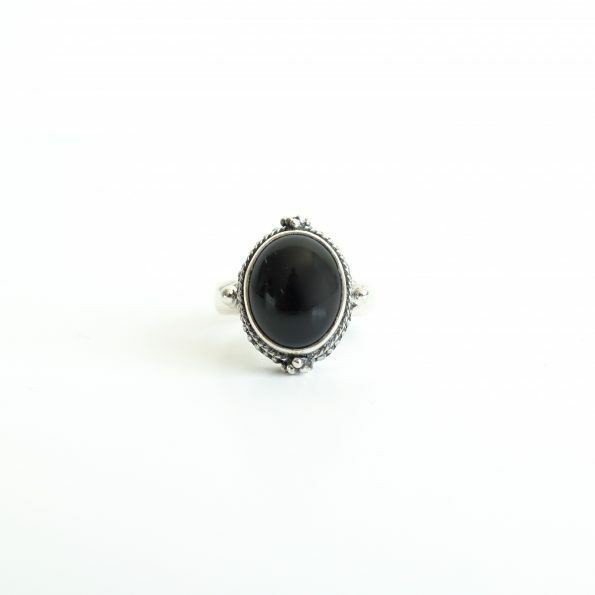 The dark strong mysterious black Onyx is a protective gemstone. It pushes away negativity and giving you the energy the build self-confidence. A stone of courage, strength, and dispels fear. Featuring black deep black with white and gray bands of color, Onyx symbolizes the three different phases of our ever-spinning planet. Black represents the cool and still night skies. A powerful warrior stone, the Onyx gemstone meaning helps stomp out negative thought patterns stemming from the most debilitating and toxic emotion of them all – fear. 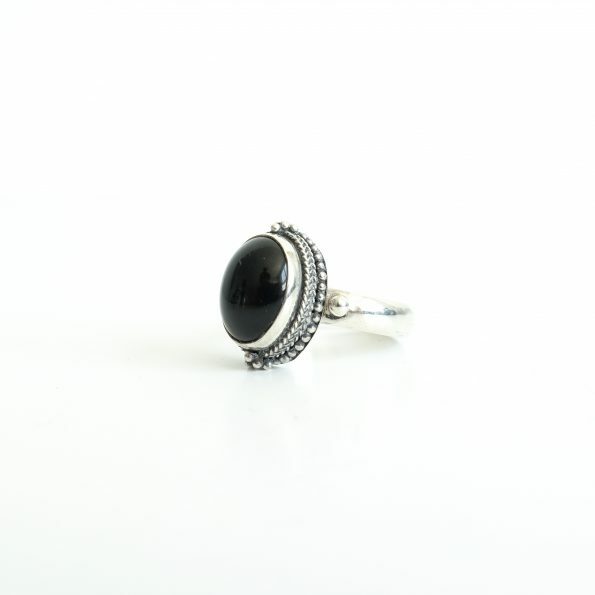 Tune into the deep black void of nighttime, a restorative time when the world is quiet and calm, and focus on Onyx to free you of everyday fears. While the sun energizes us by day, a moonlit sky restores us by night. If you want to order this ring but you don’t know the size? Use a measurement tape to measure the inner diameter of any ring you have. When you do not own a ring you can calculate the diameter your self by measuring the perimeter using a stroke of paper or a rope around your finger. Measure the length of the stroke/rope and divide it by PI, thus 3,14. This number should tell you the diameter.